This is not a great picture of Calvin, but it’s for those of you who haven’t gotten to see him in person…it shows his funny white-blonde hair pretty well. Along with his giant man hands. 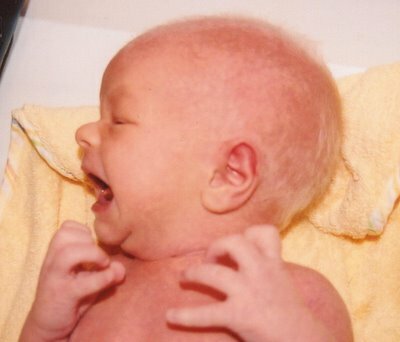 He is screaming in this picture because he was sad his first bath at home was over…or something like that.